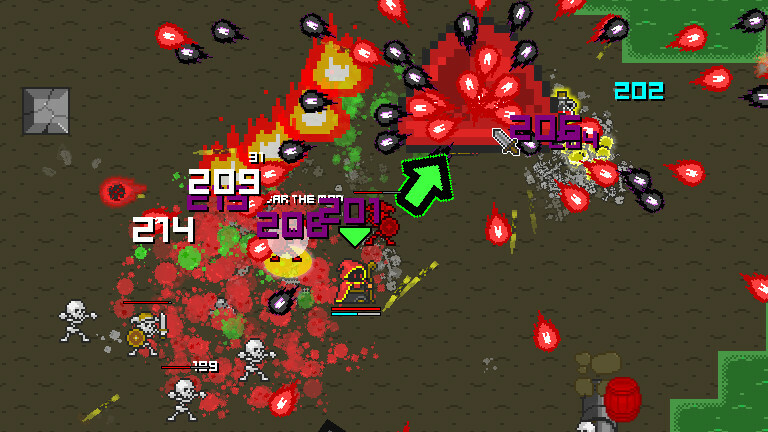 Overture is described by the devs as “an action-adventure roguelike which draws heavy inspiration from hits such as Diablo, Realm of the Mad God, Zelda, and The Binding of Isaac. Explore vast randomly-generated dungeons and slay hordes of cunning enemies!” That’s a lot of inspiration, but name-checking everything they’ve been inspired by, I feel, undercuts the uniqueness of what they’ve actually created. Overture is a masterpiece that has no direct comparison and one that I think everyone should own. 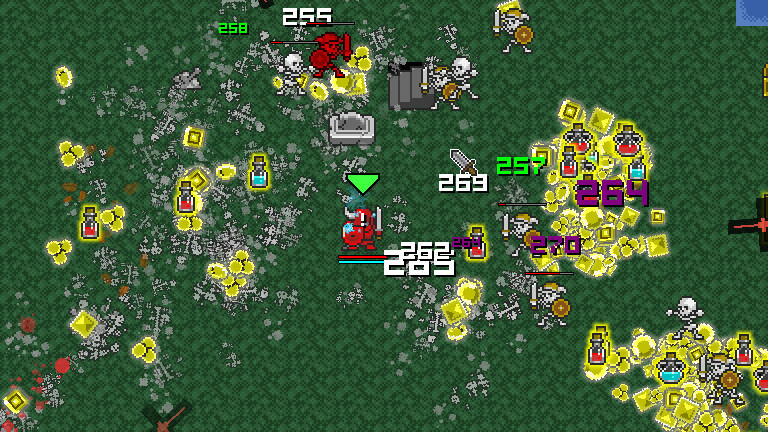 As stated above, Overture is primarily a roguelike. Each level is randomly generated, but the actual effect of this is minimal. Each level is simply a field with enemies, barrels and water strewn about. Don’t expect radically different levels: the level generator takes one of a few basic themes and builds similar levels based on that theme. This isn’t a bad thing, mind you (though it is weird that lava acts exactly like water), since the levels aren’t what make this game shine. No, the best part of Overture is the gameplay. It works a lot like a twin-stick shooter: you move with the WASD keys and attack with the mouse buttons. 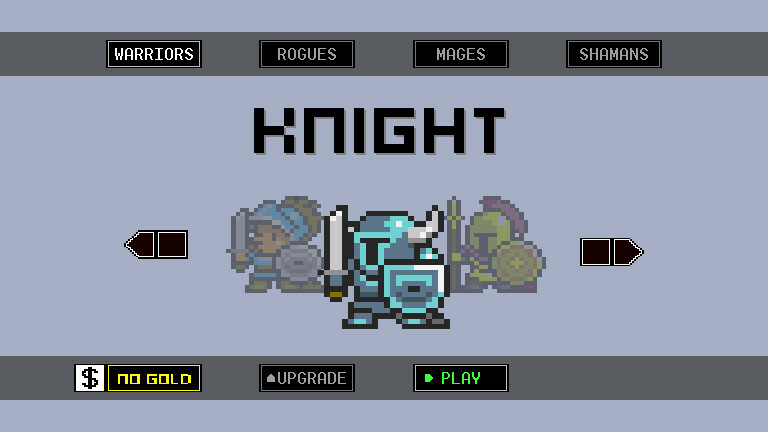 The main mouse button does a standard attack, and the secondary mouse button does a magic attack (more powerful, but it drains your mana bar). With enemies swarming around you, it captures all the intensity of a shooter, but gives you level-ups and more powerful equipment as you go along. 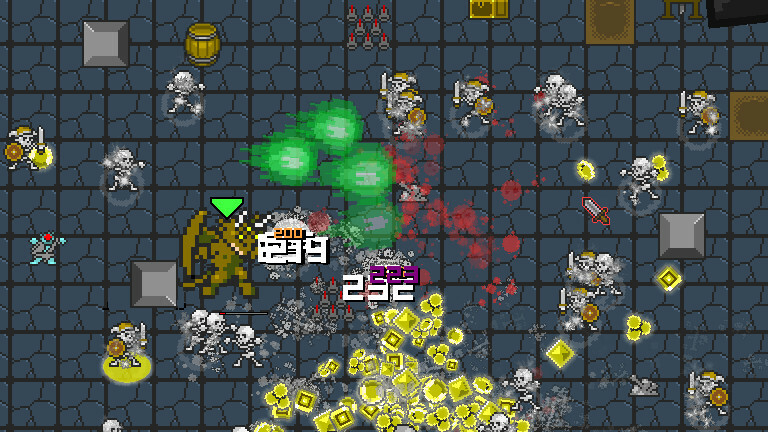 Like all roguelikes, once you die, that’s it for that run. 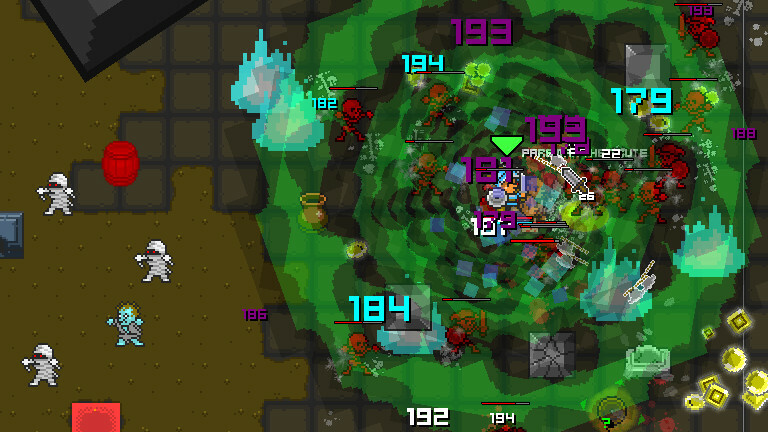 But Overture breaks away from the straight permadeath mechanics that other roguelikes use. Rather than just losing everything, you keep whatever money you’ve collected. You can use this money to unlock new classes or upgrade ones you already have. These funds don’t expire, so you can save them for anything. This is a brilliant solution, since, even if you are horribly overwhelmed, as long as you collect some money on the way out, you never feel like the run is wasted: you can spend some of that money to improve yourself for the next run. Besides, finding yourself vastly outnumbered and coming out alive brings a very unique achievement that I haven’t found anywhere else. I’m really impressed that it can make me want to flip traps just to fight more enemies. There are 24 classes in the game fitting neatly into four archetypes – Warrior, Rogue, Mage and Cleric. All of these classes are fun and unique in their own way, but you can tell that more thought went into some of them compared to others. The Druid, for example, has a companion ghost wolf that attacks enemies automatically without fear of harm in addition to his standard attack. Contrast that with some of the warriors and rogues who have similar abilities, just with expected archetypal differences. It’s not a huge problem, though. The only reason I noticed it is because I played one class after another to prepare for the review, and, even then, there is enough difference that it’s not a carbon copy. It’s just that the more creative ones make the copies just stand out in that regard. Not that you have to fight alone. Scattered throughout the field are boxes that house NPCs. Open the boxes and they’ll fight by your side until death. They’re effective enough that I have to wonder how they were captured in the first place, but not so effective as to make you feel like you can leave the game on auto-pilot. My only gripe with them is that they die way too fast, and I don’t see that they need to. Enemies drop health potions frequently, and often you won’t need them. Why can’t the NPCs pick them up when your health is full? Still, you can see how effective they are when my only complaint about them is that they die too quickly. If you want to bring human friends along on your adventure though, I’m afraid you’re out of luck: there’s no multiplayer component to this game. After having so much fun with it in single-player, had there been a multiplayer component, I’d have bought a four-pack to give to friends before this review went out. It’s really a shame. Overture is so chaotic most of the time that bringing some friends along could be a real hoot. The presentation is perfect. The sprite quality is simple, but effective, which is a huge plus in the game’s hectic environment. The music perfectly fits the high-intensity (though I do wonder if one of the tracks unintentionally nicked sounds from Shining Force’s soundtrack). The best part about this minimalist art style? It minimizes download size (22MB), and runs phenomenally well on any hardware. I did have some problem with slowdown, but I think that was related to heat-throttling in my laptop, rather than the game taking up too many resources. Still, it was far from unplayable. In conclusion, you should buy Overture. For $5, you can have an amazing experience that could last you dozens of hours. Despite the disappointing lack of multiplayer, this 22MB download packs a lot of fun into its small size, and I highly recommend it. If you aren’t convinced yet, go download the demo and play it yourself. I promise you won’t regret it.